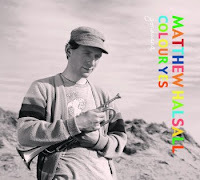 'Last year Matthew Halsall's debut album 'Sending My Love' planted him firmly on the UK jazz map, with a release which earned him praise across the board. Solid airplay from Radio 1's Gilles Peterson (the album figured in his top 40 albums of 2008), Stuart Maconie (BBC 6 Music), Tom Robinson (BBC 6 Music) and Mike Chadwick (Jazz FM) amongst others, culminated in a Maida Vale session for 6 Music. Halsall's expressive playing style and compositions, rooted deep in the spiritual jazz tradition, combined with subtle arrangements and respectful production, led to the release becoming something far greater than just the sum of its parts - more than simply a debut from a skilled, young player - 'Sending My Love' offered a welcome return to form for UK jazz - it even grabbed the attention of Nitin Sawhney, and led to the pair collaborating in a week long session. As a trumpeter, composer, DJ and label head for Gondwana, both Matthew and the label continue to go from strength to strength - June saw Gondwana release Manchester saxophonist Nat Birchall's 'Akhenaten' album, which also featured Matthew's playing, and was hailed by critics as "Truly transcendental" (Mojo, Disc Of The Day), "A quite remarkable album" (Jazz UK), "Beautifully stately performance" (The Wire), "Outstanding and most enthralling" (Jazzwise Magazine), among many others. Following the success of both the label's releases so far, Matthew has secured prized gigs at Ronnie Scotts and the Jazz Cafe in London with the likes of Quantic, Gilles Peterson and Nostalgia 77. A committed performer and restless musician, Halsall now returns with his second full length album 'Colour Yes' delivering six brand new compositions. This time around Matthew recruited the talents of Nat Birchall (sax), Adam Fairhall (piano), Gavin Barras (bass), Gaz Hughes (drums), Marek Dorcik (drums) and Rachael Gladwin (harp) - the groups impeccable performances under Halsall's direction, deliver yet another consistent and often brilliant release, authentic in every which way. The effortless swing of title track and album opener 'Colour Yes', really defines what it is about Halsall's vision of jazz that gives him the upper hand; this is timeless music, it owes nothing to the past - sure, there are comparison points, but all lead to music which is indeed, already classic. An undeniable clarity is present throughout, themes are balanced and already sounding fully road-tested. 'An empty set is an empty box or an empty bag. It's not the same as nothingness. Aesthetically it implies structure without content; absolute potential without manifestation. 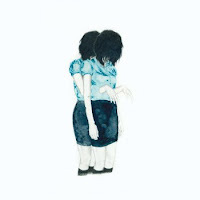 This works as a template for listening to the record: it sounds like dance music with the guts ripped out; the vengeful ghost of a techno future generated entirely from noise and sine waves. There are no melodic lines on which to hitch a free ride; your attention is required at all times to safeguard against total disorientation. emptyset is a Brutalist structure, a foreign universe born out of a void, becoming sentient and condemned to await demolition. You need not have studied Jung or harbour any particular psycho-geographical leanings to recognize that a drawn out process of smashing a city's urban heart to pieces might influence its art. With the extensive reconstruction of its city centre, at one point the biggest building site in Europe, Bristol has been a site of dereliction and mass demolition for the last decade. This upheaval, which has seen tonnes of girders, beams and aggregates destroyed, is just another episode in the city's tradition of lo-frequency exploration. Bristol's ley-lines are as much aural and temporal as they are geographical, running backwards through history. Mass Slavery, Bass culture, Tape hiss in the Lo-Fi Bedsit tradition, Georgian splendour bombed to human smithereens in WWII; All these dehumanized visions subsequently informed everything from the building of an extensive network of underground slave tunnels to the creation of tower block living rooms; lo-frequencies shook the earth and noise filled the air. Bass is the tool, the machine head used to explore cracks, find spaces, open them up and fill them with noise. This is not an analogy; this is happening right now, all over the city. For the wayward musical explorer, living in contemporary Bristol is akin to being lost in a room full of maps, or on a construction site with an incredibly beautiful though constantly shifting view. As a direct consequence, Bristol is the only city that could produce this album. With its dialogues in play between techno, dubstep, drone and avant-garde electronics, the environment of grassroots cultural cooperation serves to destabilize the boundaries between the grammars of individual genres. 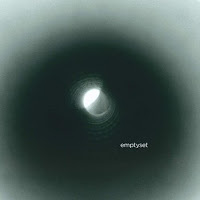 Recorded at Multiverse, birthplace of the labels Tectonic, Kapsize and (of course) Caravan, and home to artists such as Joker, Pinch, Vex'd, 2562 and Caravan label boss October, emptyset has emerged from a rich lineage of forward thinking experimental music.